One of the best kept secrets of Hampton Roads is the beautiful Gloucester section of our community. Tucked away above the Peninsula, this thriving and developing section of Hampton Roads features today’s Humpday Hot Property, River Club at Twin Island. 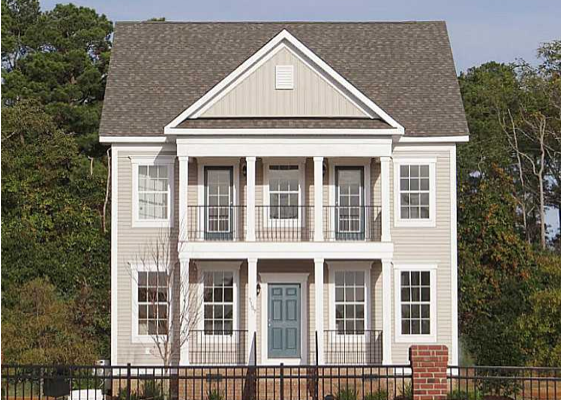 River Club is built by HH Hunt who describes the community as, a residential gem is intimately nestled just five minutes past the York River Bridge. An elevated property, River Club at Twin Island offers breathtaking York River vistas, which residents are sure to enjoy from the now completed community pier and gazebo. A place of warm and welcoming neighbors, River Club at Twin Island offers exceptional carefree living. Thoughtfully planned homes allow for plenty of quality time with family and friends; for dropping a line in the river, or just peacefully gazing out over the water at day’s end. Right now there are great incentives for purchasing a home at River Club, including specials for VA buyers. 7157 Patterson’s View is a four bedroom, three and half bath home that is ready to move into. The home is currently listed at $313,610. For more information about this or any of Rose & Womble’s New Homes just Ask Jen, our New Homes Specialist. You can call her at 757-774-6999 or you can visit RWNewHomes.com to search for your next new home.